Moskov spoke to euractiv.com’s Sarantis Michalopoulos at the Patient Access Partnership (PACT) conference in Sofia. What is Bulgaria’s motivation to seek regional cooperation with Romania on drug policy? There is a strong need identified at a health ministers meeting which took place earlier this year. It was reiterated that public funding is becoming more and more insufficient to cover the needs of patients in terms of drugs. In other words, this need was confirmed by both the EU institutions and all the member states, taking into consideration, of course, the different realities, specialties, varying GDP levels etc. But the overall situation was confirmed to be the same. What is your main focus? Is it availability, affordability? Bulgaria’s problems are not that different compared to the problems of the other EU member states. Yes. Affordability, availability as well as the ability of public funding to ensure adequate access to more innovative and new drugs are key issues. In general, there are two sets of problems that we are faced with: the first one is the ability of the public funding to ensure sustainability and predictability to cover expenses for innovative and new drugs. This is an issue related to available resources and the ability to sustain these resources. Concerning the availability, it usually goes with a particular group of drugs, but here the issue is not related to resources. 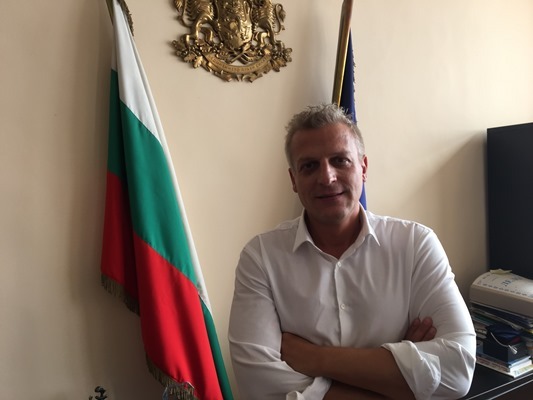 It’s more about the business policy of the pharmaceutical companies because the Bulgarian positive drug lists have indicated the disappearance of certain groups of drugs, which were molecules that are considered the gold standard in treatment. But the pharmaceutical companies will have a new molecule and will replace the old one with a new one which is more expensive. That’s why they are moving the old ones from the list. A first meeting took place in Sofia, there was a second one in Bucharest and another scheduled in Warsaw. You have already announced that this agreement is open to other countries. But is Bulgaria and Romania the core of this cooperation? Could you elaborate? There is not a particular initiator or a core. What happened was that more than 2 years ago, along the lines of an intergovernmental agreement between Bulgaria and Romania, we launched this discussion with Romania. We don’t claim to be the “fathers” of this initiative. The difference is that both countries have the highest level of readiness to go for this type of agreement. I cannot predict who and when will join this agreement, or whether there will be a supplementary agreement to go hand-in-hand with ours. But I can confirm that Bulgaria and Romania are ready to sign this intergovernmental agreement by the end of this month before the ratification process starts in both countries. And by the end of the year, we will have appointed the body that will be responsible for implementing this agreement. After it’s signed by the two governments, the agreement will have to be ratified by the legislative bodies of both countries. Practically speaking, what is the objective? Decreased prices or better management of the pharmaceutical markets? Your question contains part of the answer. I hope you don’t expect that I will tell you that this agreement will result in increased prices. There are two main lines of interaction in this agreement: the one is to have common instruments/mechanisms to negotiate between Bulgaria and Romania the new molecules that are coming to the market. This negotiation concerns for example better or bigger discounts that will be given by the holders’ of marketing authorisations. However, while we comply with the confidentiality provisions and requirements we still have a very flexible way to negotiate with the companies, as it depends on the molecule, the readiness of the company to negotiate. So, if they give us a bigger discount, for example, they will probably get a faster access to the market and they will have their drug placed in it. But I cannot give you all the details about the negotiations. Another line of interaction concerns those drugs that have disappeared from the positive drugs’ lists of the country. So, we will negotiate with Romania which drugs they need and want that we actually have here [in Bulgaria] and the other way around. In Warsaw, we will negotiate on that. What is the reaction of the pharmaceutical companies to this initiative? I cannot tell you what kind of emotions they had. But for sure, we have had and we are continuing to have a sensible discussion with the pharma industry, with the relevant stakeholders in Bulgaria and Romania on a level of generic companies, innovative drug producers. Of course, this dialogue eventually will have to go to the mutual benefits of the agreement. These benefits include sustainability and predictability of public funds spending and a relative guarantee to ensure access for patients to drugs, as well as a high level of predictability for the business plans of the pharmaceutical companies themselves. Are you optimistic about a concrete outcome? We have done a lot of work not only with Romania, but also with other countries as well, like Serbia, Macedonia, and Moldova. Also, non-EU countries can be part of this agreement. Of course, it depends on the stage of development they would like to join the agreement, what kind of specific situation they want to address. It is a voluntary agreement and it’s quite flexible for others to join. For instance, they can join it even for a specific drug that they need. What was the role of Poland in this process? Poland sent its representative in the second meeting we had in Romania with 10 more countries. There is a pending meeting in Poland but I cannot predict whether or not they will join this agreement or if there are others countries around Poland that would be interested. The Benelux countries have already launched such an agreement some time ago, with contestable outcomes but they are trying to learn from their mistakes. The Mediterranean countries have also started thinking about such an agreement and, of course, they have their own reservations taking into account the specificities in each country. The last Dutch Presidency launched a dialogue concerning the entire method of pricing drugs. What’s the main message you want to deliver with this agreement? Let me thank the Commissioner and the European Commission in general for the support they have shown all this time. But I will say it once again: This kind of agreement is voluntary and cannot work as a Europe-wide panacea that would be a one-size-fits-all solution for the EU countries. It can only serve countries that have shared interests and needs. I would like to send a message and on behalf of Romania’s Minister of Health Mr. Voiculescu that the rules will be different in the future and will be fairer for the countries in our region like Bulgaria and Romania.